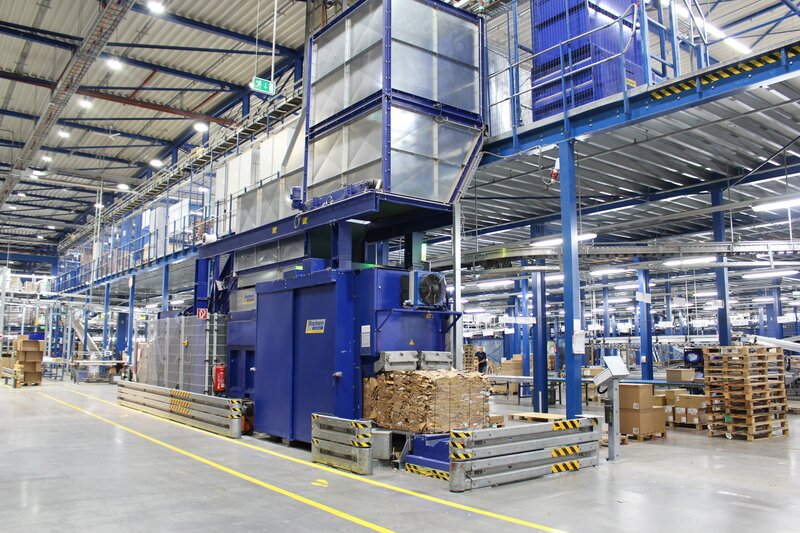 The Ingram Micro Distribution GmbH company in Straubing makes a summary: For two years now the ITK distributor has disposed of 840 tons of cardboard every year with the BaleTainer - a fully automatic baling press. BaleTainer compacts the resulting cardboard out of two storage areas. Centrally positioned, the baler allows filling from the lower and upper storage area. This was also the key to the enormous time savings, reports Reindl. Now the company benefits from short and fast disposal routes. „Strautmann offered exactly what we wanted and that too at a fair price. Mr. Günter Komesker, Managing Director Strautmann Umwelttechnik GmbH and Mr. Markus Jobst, Sales Director South-East, gave me good advice and it was fun to design the project with you, “says Reindl. Instead of spending time with disposal, employees can now focus on their core business. In the past, all outer packaging was collected in containers. These were picked up in the lower storage area by pallet truck and brought to the compactor. The employees had to walk long distances to the compactor, even in case of bad weather conditions, and then manually inserted the cardboard boxes into the compactor- The disposal process of a single container took about two to three minutes. The outside press container also occupied a dock space and occurred monthly rental cost. In the upper storage area, cardboard was compacted with a vertical baler. Each carton had to be thrown into the press chamber by hand. Through constant intermediate pressing, employees lost a lot of time by disposal. “That was a huge amount of time, a pointless waste of time,” recalls Reindl. 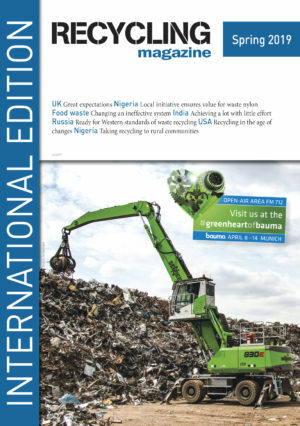 ISRI’s Scrap Specifications Circular now includes zero tolerance guidelines. The European Parliament and the Council agreed today on energy-from-waste related provisions that will bring the Renewable Energy Directive more into line with a Circular Economy.